In a large skillet, brown the ground beef with the minced onion and garlic powder. Add the browned ground beef into the base of the slow cooker. Stir in 1 cup beef broth, then sprinkle the paprika and combine with the meat and broth. Pour the cream of mushroom soup over the top and sprinkle with salt and pepper. 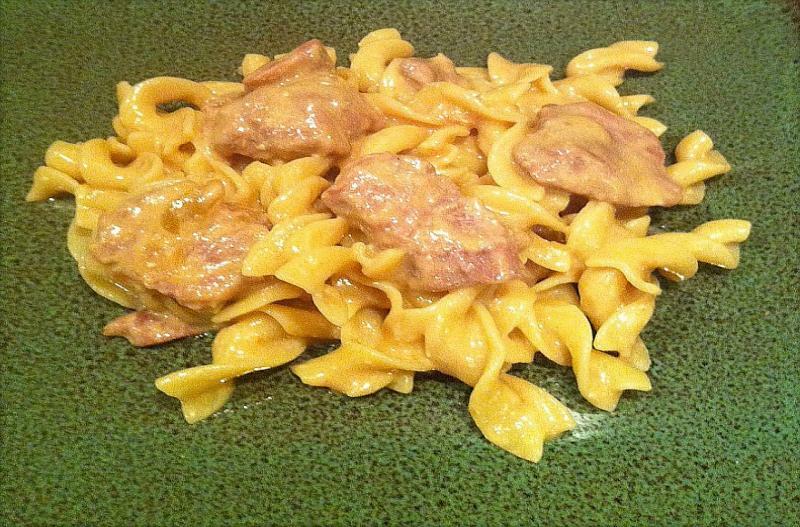 Set the slow cooker on low and cook for 8 hours. Just before serving, stir in 1 cup sour cream into the beef mixture. 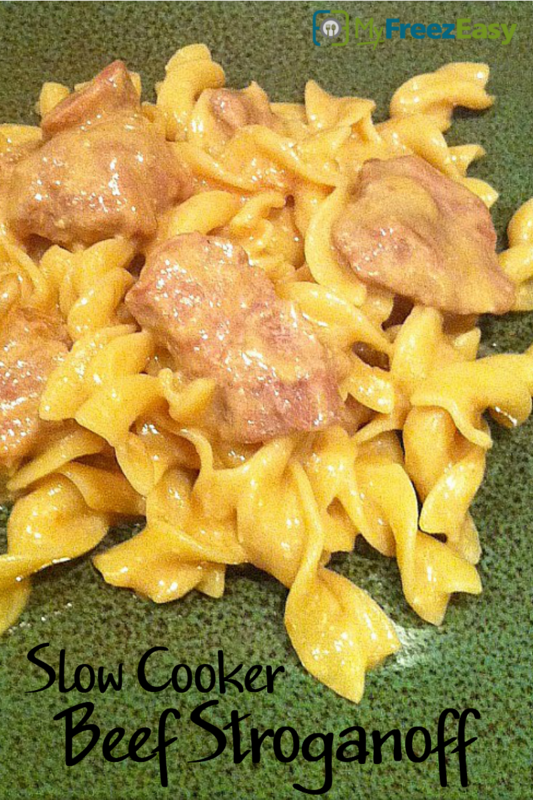 Serve Slow Cooker Beef Stroganoff over egg noodles with veggies. Put baggie in the freezer and freeze up to 6 months in fridge freezer or 12 months in a deep freezer. Thaw in the fridge overnight, or a warm bowl of water for about 20 minutes, before transferring to the slow cooker and cooking on low for 8 hours. Just before serving, stir in 1 cup of sour cream. Thaw and slow cook on low for 8 hours. Just before serving, stir in 1 cup sour cream into the beef sauce. Serve over egg noodles with veggies.